Head Coach of Premier League Champions, Alhaji Mumuni Sopkari has blamed officiating as the cause of their defeat to Accra Hearts of Oak in the semifinal of the MTN FA cup on Sunday. Wa All Stars lost to Accra Hearts of Oak 2-1, after Patrick Razak and Kwame Kizito scored to put the Phobians in the lead before Samuel Atta pulled one back for the Northern Blues. The Premier League Champions created lots of Chances in the second half but their efforts wasn’t enough as Accra Hearts of Oak sailed through to the final. 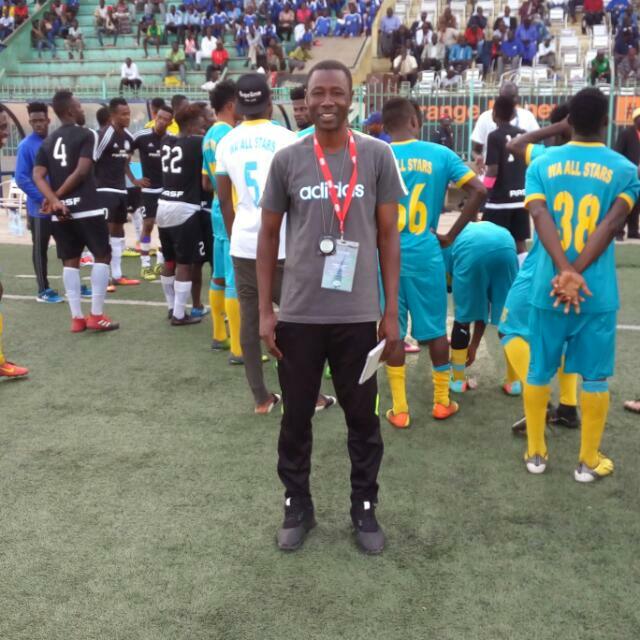 Coach Alhaji Sokpari in a post-match interview insisted the referee’s perfoemance was unfair to them. “Somewhere along the line, officiating frustrated the game. I think is about time, officiating officials move away from our two glamorous clubs thus Kotoko and Hearts, Hearts in particular,” a furious Sokpari said after the game. “Because if you watch the cautions, or yellow cards given to players, I’m not disagreeing with him but I think on three or four occasions it should have gone to our opponents. The Wa based Club will now turn their attention to the Ghana Premier League, where they face the same opponents on Wednesday.